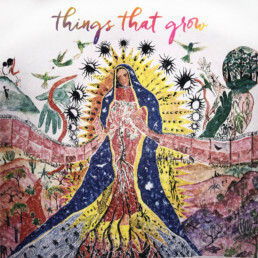 Things That Grow, includes songs documenting the disturbing and destructive realities around us, from fracking to the New Jim Crow, to violence against the most vulnerable. The music also illuminates something deeper (and truer) about our living connections. Things That Grow ignites the soul with messages of strength, resistance, and human connection. This social gospel soul album recorded with an extremely talented set of Memphis rock musicians, celebrates humanity, beauty and resilience.